Hideko Mihara is a self-obsessed Deco-Deco accessory collector. She also hopes that Mutou-kun will also do Deco-Deco with her too. 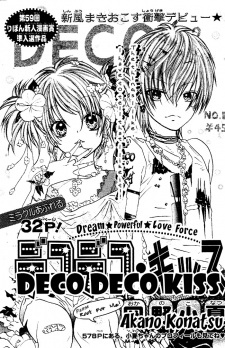 But when Mutou-kun tells her that he hates it, what will she choose between her love for Mutou-kun or Deco-Deco?